This was too exciting and judging by the file size of 307MB it means this is a big update and not some minor fixes. I then got another message that there is yet another software update from 1.05.2304 to 1.05.2342 – another 272mb of updates. Yay ! So what has changed ? At first I didn’t notice much but then little things started popping up that just enhanced the usability of the Playbook. 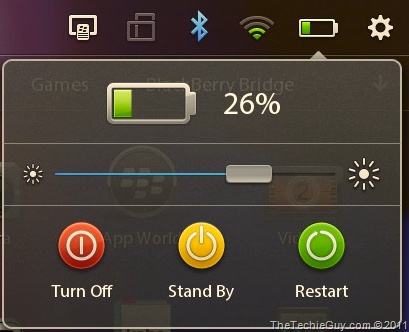 You click on the battery icon, you now get added buttons that allow you to Turn Off, Stand By and Restart the Playbook. You can also adjust the brightness of the screen – neat ! 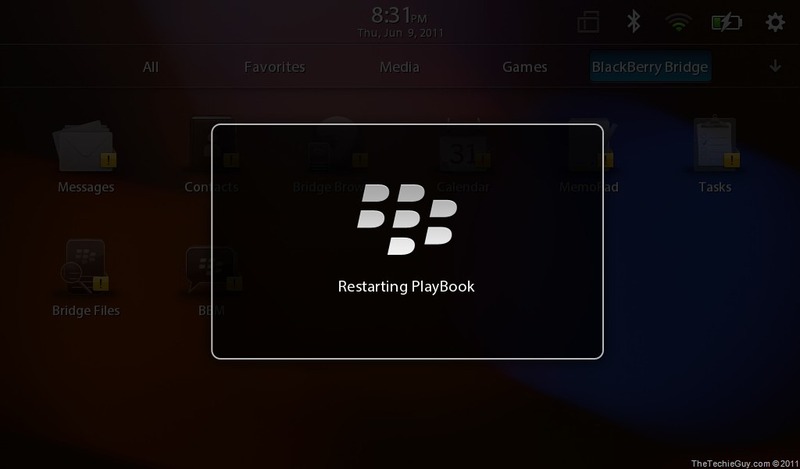 With this update, it is suppose to alert you if you charge the Blackberry Smartphone charger in by mistake instead of the Playbook charger. When I tried it, I didn’t get that message though so maybe in SA the chargers are the same ? 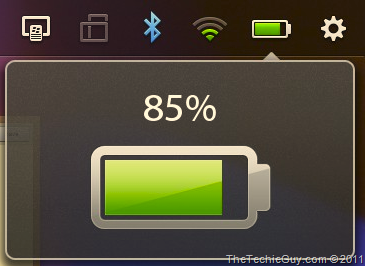 you can also now charge your Playbook even when it is fully powered down. 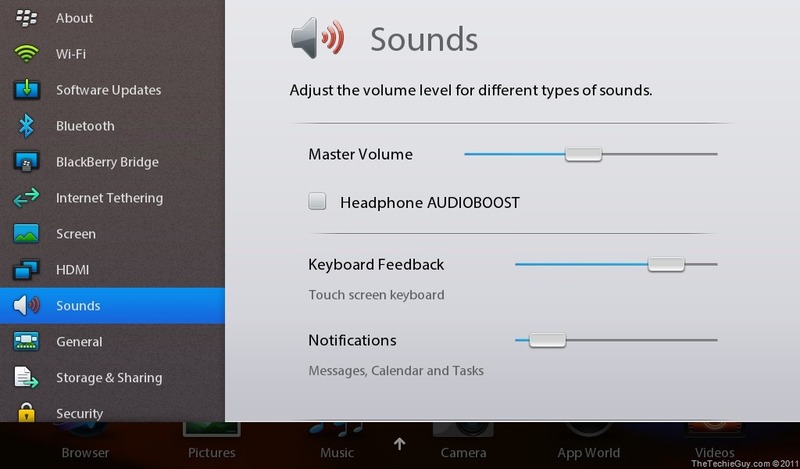 There is now a “Headphone AUDIOBOOST” under the sound options so you can now actually hear the sound out of the Playbook when you put the headphones on when you are in a crowded place like a restaurant or an aeroplane. another facility I found was the Application Behaviour option. When it is set to DEFAULT, “An application stays active in the background until another application goes full screen”. 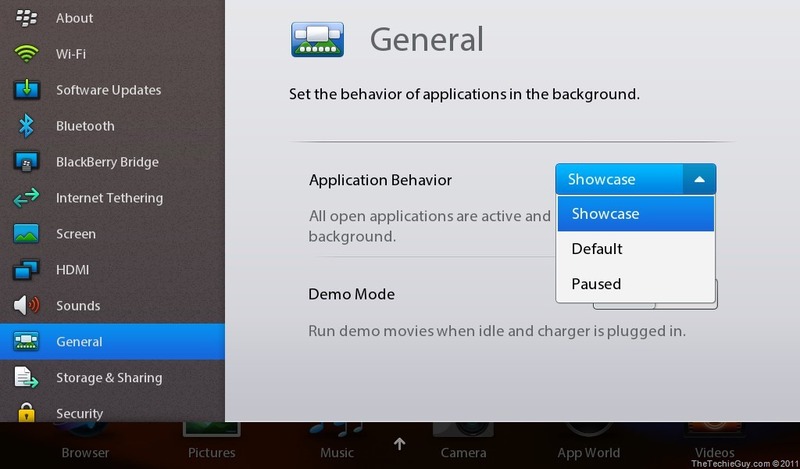 However, if you change that to SHOWCASE, then “All open applications are active and never pause in the background” – this is great. As this is Multi tasking at its best. I can now watch a Video and if I want to, I can minimise it whilst working on a word document and the sound is still on ! You can also down download the Podcasts in one window and play Need for Speed at the the same time connect the Playbook to HDMI TV. Sweet ! 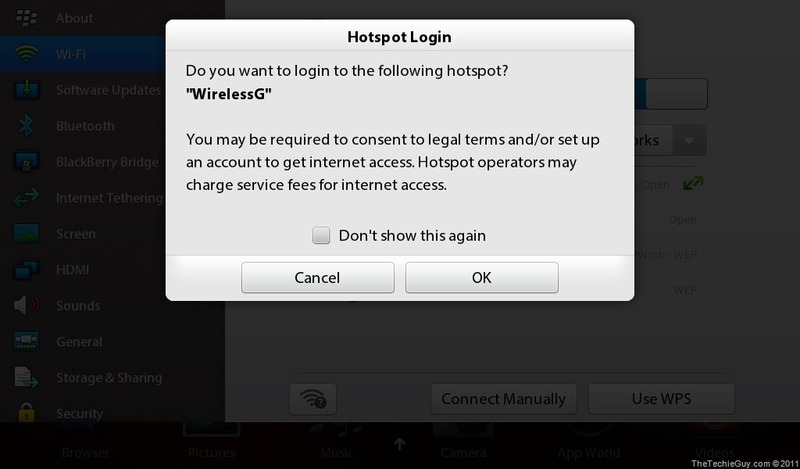 This update has also made logging into a Hotspot easier and messages pop up to assist you in the log in process. 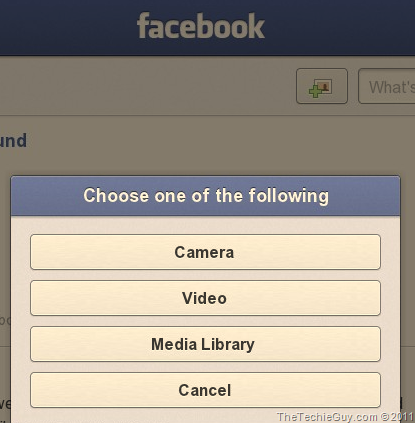 The Facebook app that comes preinstalled with the Playbook has been enhanced to allow many features. You can now upload media direct from the Playbook including capturing images from the Camera, Video or something out of the Medial Library. The Apps World now has the ability to accept Payments. this makes the purchasing of apps simple and from one location. You can get more levels in a game or unlock an app features when you purchase the enhances version or renew your subscription to that magazine. 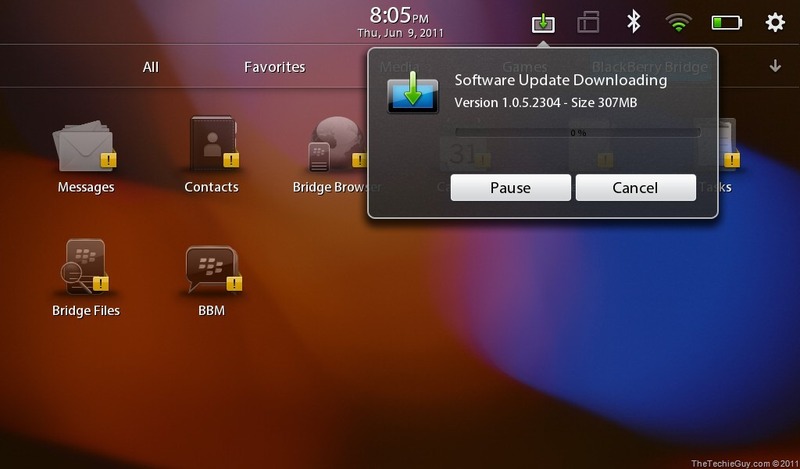 Finally, on a slightly related topic, there is also an update for the Blackberry Bridge software that you need to connect your Playbook to your phone. Get the version 1.0.0.93 from the Apps World for a much more stable experience when you use the Bridged application and especially the Bridged Browser. We all agree that the hardware of the Playbook is superb and now that software is coming out to fix those “irritations” this device is starting to take its rightful place amongst the Tablet Elite ! To the Blackberry Team – Keep ‘em coming ! I was considering the BBPB, but wanted to make sure it will run Excel. I have an invoicing program that is powered by Excel and am not sure it will work. I understand you cannot connect to a printer, but wondered if it would print if in a wi-fi/bluetooth network. Will Java be offered in the future? When will G4 be available? I tried the Ipad and found it to be more of a toy and not really useful for my purposes. I will not be downloading music or movies and not storing pictures. I am looking for something small to carry with me in place of a computer, mostly for data info, not for actually invoicing. I already have a blackberry phone, so can tether when wifi is not available. The netbooks are too slow. The Excel2Go is pretty decent. I run mancomplexespreadsheetet and they seem to work fine. Very cool to look up figures/ invoice amounts/ orders etc. when on the gwithoutut booting up a laptop. If you are doing lots of real work on the road, nothing beats a decent Netbook. Same price, you get more features, keyboard, usb, wifi, 3G/4G etc. If you just need to reference work, do odd email etc. then the Playbook is awesome. I personally not a big iPad fan as I find it horribly restrictive. 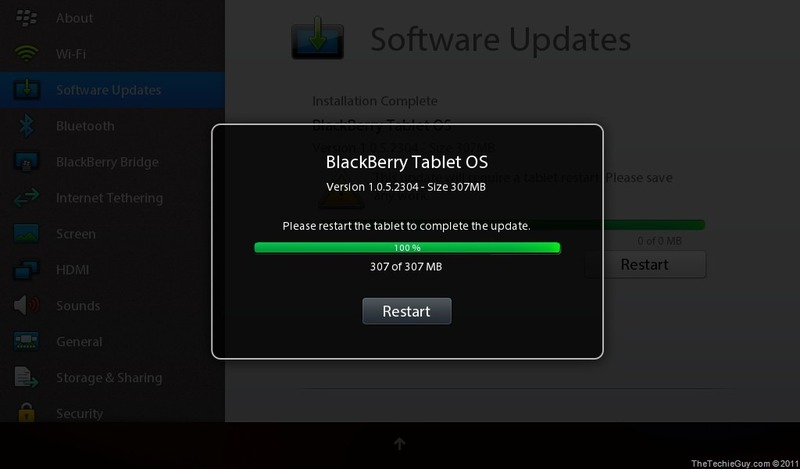 The Playbook has issues but with more software updates these will be fixed. I love my PB … But, the CBC app has disappeared w the latest update … What happened? When do we get the review of the PB OS 2.0? Also, should I buy a PB or an android tablet since the ipad is not that interesting to some of us. just busy with my Plabook 2.0 review now…almost ready – so hang on !